Next year we’ll be heading to the East Kootenay and the City of Cranbrook – May 27th, 28th, 29th, 2016. Mark your calendars! 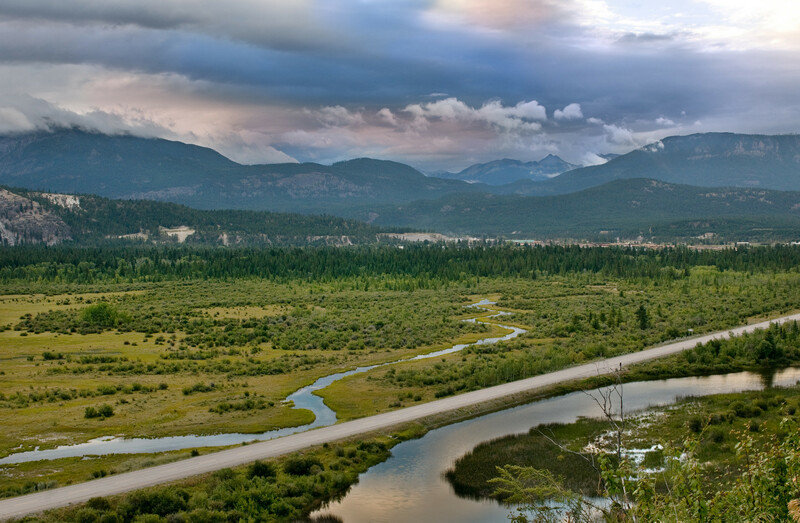 Located in the Rocky Mountain Trench, Cranbrook sits between the Rockies to the east, and the Purcell Mountains to the west. With the Kootenay River flowing in the valley bottom, the huge diversity of habitats here offers a fabulous variety of birds. Extensive wetlands, grasslands and open forests, along with mountain habitats at various elevations will ensure memorable birding in the East Kootenay. Canal Flats wetlands, north of Cranbrook. The Rocky Mountain Naturalists are our partners in Cranbrook and have the detailed local knowledge needed to make the venue a birding success. We’re already working with them to plan a full roster of AGM field trips you will not want to miss. We’re also doing prep work on our pre-conference 2-day field trip – likely the Creston Valley, and the post-conference extension targeting Southern Alberta. Stay tuned! For preliminary information about the location of the AGM and accommodations, check the Events tab above or the link here.